West Bank. Nabi Saleh. 2013. 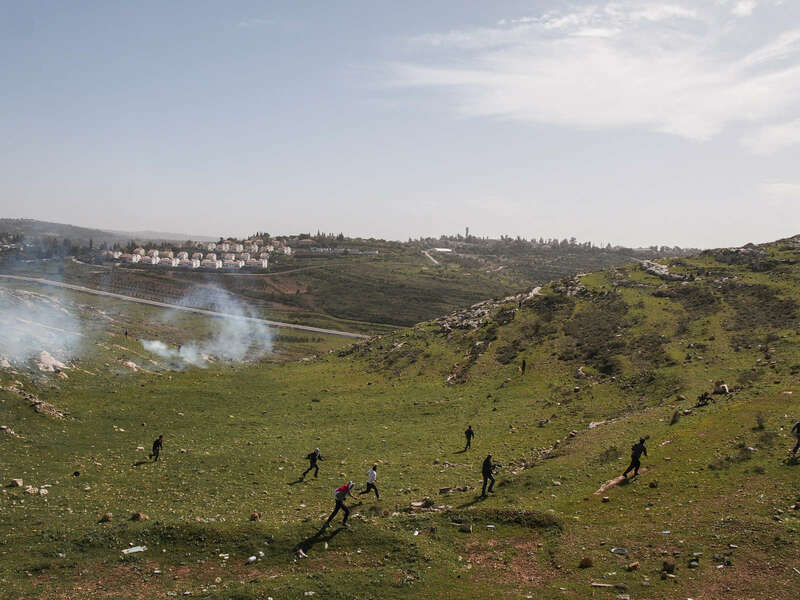 Protestors run away as Israeli soldiers fire tear gas at them. The Israeli settlement of Halimish is in the background.